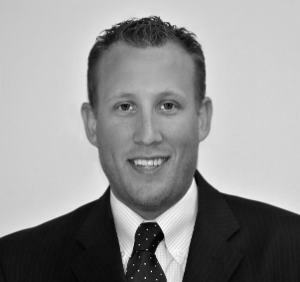 Kevin is a partner and co-founder of Market Street Wealth Management. A graduate of Eastern University, Kevin entered the financial services profession by participating as a member of the Morgan Stanley Dean Witter Elite Financial Advisor Training Program. After a three year tenure with Morgan Stanley Dean Witter, Kevin partnered with Leppert to begin the formation of Market Street Wealth Management. In 2008, he attained the Certified Financial Planner (CFP®) designation after attending the American College training program for 2 years. His primary emphasis at the firm is comprehensive financial planning, with a specific focus on income planning, investments, taxes, and financial estate planning. His training and education helps him plan for the various “what ifs” that may arise in the financial lives of his clients. He has joined with the other advisors at the firm in delivering numerous financial seminars and workshops throughout Pennsylvania, Delaware, and New Jersey. On a personal note, Kevin currently resides in Glen Mills, PA, with his wife Kim and their two children Jonathan and Maya. He currently sits on the Westminster School Board, and is a former member of the Collenbrook United Church Board. He’s active as a youth baseball and soccer coach, as well as a participant in Habitat for Humanity.